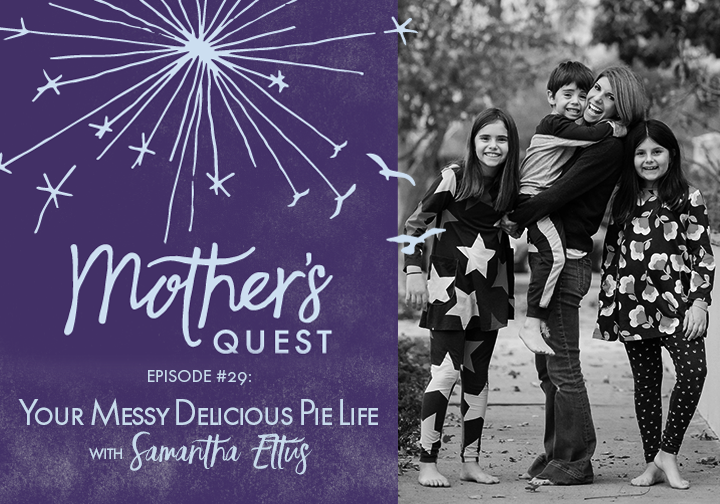 I’m excited to share this Episode #29 of the Mother’s Quest Podcast with renowned work/life wellness expert, intentional mom, bestselling author, and so much more – Samantha Ettus. 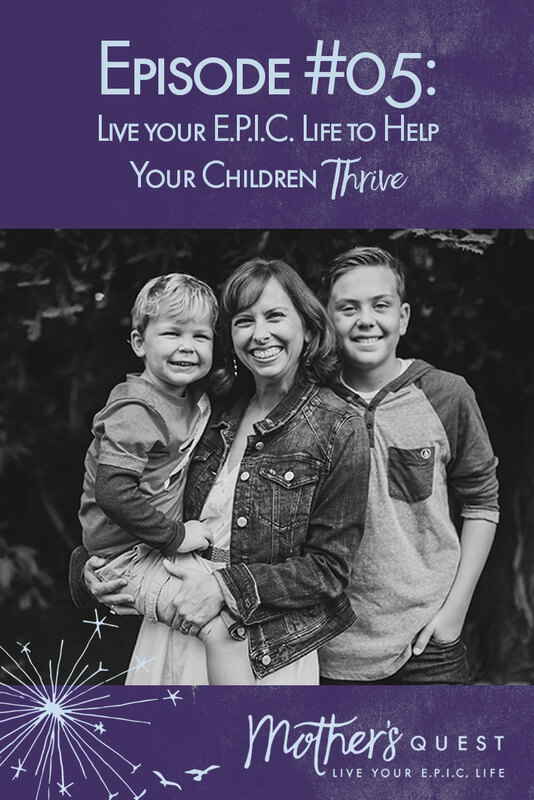 Sam is the author of The Pie Life and The Pie Life Planner which is a playbook for working moms who want to balance the seven “slices” of a delicious life which includes career, health, relationship, children, community, friends and hobbies. She’s also raising two strong independent girls and a feminist son along with her husband in Los Angeles. Sam specializes in helping people thrive professionally and personally. Since earning her undergraduate and MBA degrees from Harvard, she’s coached thousands of professionals who aim to perform at the highest levels. She’s a bestselling author of five books, the CEO of Work Life Love, an entrepreneur, and Tedx and keynote speaker. She has also hosted a weekly nationally syndicated radio show and has appeared on Good Morning America, NBC Nightly News, Access Hollywood, CNN and The TODAY Show among others. She’s given hundreds of keynotes and led workshops at corporations and conferences around the world. Samantha and I delve into the subject of how to sustain a thriving personal and professional life at the same time, the importance of keeping at least one foot in the career world while raising your children, and the power of the financial independence and fulfillment that brings, not only to women’s lives but to our children’s. By showing our children our enthusiasm in our work, and other parts of our lives, we model investing in a life with not one or two but seven meaningful slices. We also talk about the other important values Sam aims to teach her children by her example, the importance of honoring our bodies and seeing ourselves as beautiful in any size, to focus on the people who love you, not the haters or the 10% who will always be critical, and to let go of perfection and realize that the most delicious pies and lives are the ones that are messy, gooey, and real. Finally, Sam shares how she consciously built a community in Los Angeles after relocating from New York, going from not having anyone to put on her children’s emergency card at school, to cultivating meaningful relationships, catalyzed by a Yom Kippur break the fast Samantha threw that has now become an annual tradition for a hundred people. The challenge that emerged from our conversation was to focus on my slice of the pie that relates to building community. As a result of commitments you’ll hear me make on the podcast, I’ve set a date, October 28th, for a podcast listening party of my episode with Elizabeth Cronise McLaughlin on the Age of the New Heroine followed by a Q & A with my friend Chelsea Bonini stepping into heroic challenges of her own as she runs for City Council. If you’re local to the Bay Area, I’d love for you to RSVP and join us. I also committed to throw my first break the fast after 20 years of feeling a bit adrift during this Jewish holiday away from my Los Angeles family. I consciously chose to make this a multicultural break the fast and we had children and adults of multiple generations and religions, eating, playing and talking together. It was a messy and delicious evening, and one that will become a new tradition in my E.P.I.C. Pie Life. Samantha’s upbringing as a competitive tennis player in New York and the influence her mother had on her to become strong and independent. Sam’s belief that women should be financially independent and have careers so they will always have options. Commit to meaningful gatherings. I accepted the challenge to say yes to “parties” and had my very first multi-cultural Yom Kippur break the fast celebration at our home. It was an amazing experience filled with friends and family of different generations and religions who came together and helped me deepen my Bay Area roots in new ways. Another challenge Sam gave is to create a community around the Podcast. I’ve decided to combine a listening part of a favorite episode, with Elizabeth Cronise McLaughlin on Intersectionality and the Age of the New Heroine along with a Q & A with my friend Chelsea Bonini who is stepping into her own heroine’s journey as she runs for City Council. If you have a podcast or love listening to podcasts, you can create a party in your community, build relationships, and cultivate friendships. Stay tuned for a future opportunity to have Samantha visit the Mother’s Quest Private Facebook Group for a Live Q & A and Check-in on the Challenge. At the time of this recording in October 2017, we are reeling as a nation from the recent mass shooting in Las Vegas. Like so many other moms, I’ve felt a range of feelings from despair to rage about the state of our country and fear for my childrens’ safety. And I’ve also felt more committed than ever to use my voice and continue to develop what I’ve been calling an “activist muscle” to advocate for critical change like gun law reform. This week I made a donation and have been following calls to action from an organization called Moms Demand Action for Gun Sense in America. If you want to join a group of powerful mothers advocating for gun law reform, take a moment right now and text ACT to 64433 to get started. I’ve been there, I’m still on the journey myself, and I’d love to bring all I’ve learned from a decade of coaching, 13 years of motherhood and all the lessons from my podcast guests to support you. Send me an email atjulie@mothersquest.com or sign up for a free discovery call by clicking this link if you’re interested in learning more.